A record attendance at this year’s AWA Label Release Liner Industry Seminar, located alongside Labelexpo Americas in Chicago, was evidence of strong continuing interest in the opportunities and challenges around release liner used in the pressure-sensitive label segment. The full one-day program – headlined ‘Release Liner in a Changing Market’ – reflected all the elements of current interest and concern, from sustainability and release liner recycling and linerless labeling to materials management, in-line narrow web silicone coating, competing labeling technologies where release liner is not used, and global market data. With the interests of the full pressure-sensitive label and release liner value chain covered in the seminar agenda, participants were provided with an extra and engaging opportunity to focus on the inter-relationships of the various subject elements. 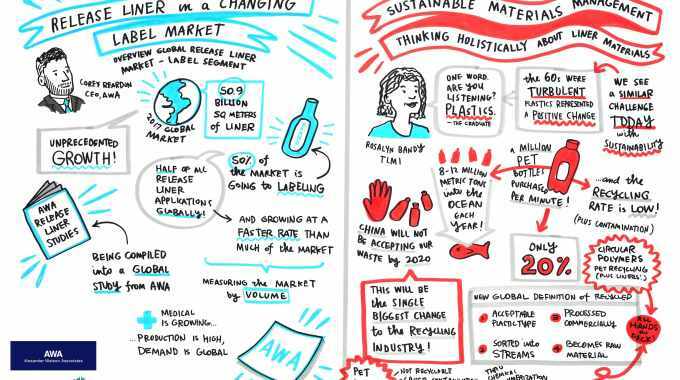 A clever illustrator made visual notes during the presentations, providing real-time, eye-catching graphic reinforcement of the speakers’ messages and a visual overview of the day’s discussions. 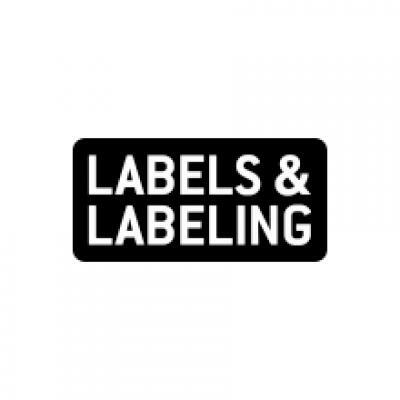 A highlight of the program was an extensive panel discussion exploring the likely directions of the pressure-sensitive label and release liner industry over the next five years. Moderated by AWA Alexander Watson Associates’ president and CEO, Corey Reardon, the panel participants – Calvin Forest, Channeled Resources Group; Andy Thomas-Emans, Tarsus Labels Group; Dan Muenzer, TLMI; Nick Tucci, Avery Dennison; Jaakko Nikkila, UPM Specialty Papers; and Grace Zhang, Dow Chemical Company – were more than able to address the subject, and bring real and thought-provoking insights. AWA’s Label Release Liner Industry Seminar complements the AWA Global Release Liner Industry Conference, which alternates between North America and Europe, and next takes place in Charlotte, North Carolina, May 1-3 2019, for which the call for papers, and registration, are now open.